Samuel Pepys is as much a paragon of literature as Chaucer and Shakespeare. His Diary is one of the principal sources for many aspects of the history of its period. In spite of its significance, all previous editions were inadequately edited and suffered from a number of omissions—until Robert Latham and William Matthews went back to the 300-year-old original manuscript and deciphered each passage and phrase, no matter how obscure or indiscreet. The Diary deals with some of the most dramatic events in English history. Pepys witnessed the London Fire, the Great Plague, the Restoration of Charles II, and the Dutch Wars. He was a patron of the arts, having himself composed many delightful songs and participated in the artistic life of London. His flair for gossip and detail reveals a portrait of the times that rivals the most swashbuckling and romantic historical novels. In none of the earlier versions was there a reliable, full text, with commentary and notation with any claim to completeness. This edition, first published in 1970, is the first in which the entire diary is printed with systematic comment. This is the only complete edition available; it is as close to Pepys’s original as possible. Robert Latham was Pepys Librarian at Magdalene College, Cambridge. 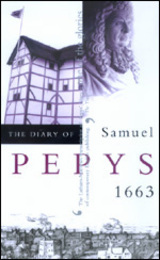 In addition to editing the eleven volumes of The Diary of Samuel Pepys, he was the editor of the acclaimed Shorter Pepys (1985) and A Pepys Anthology (1988), both published by University of California Press. William Matthews was Professor of English at the University of California, Los Angeles.